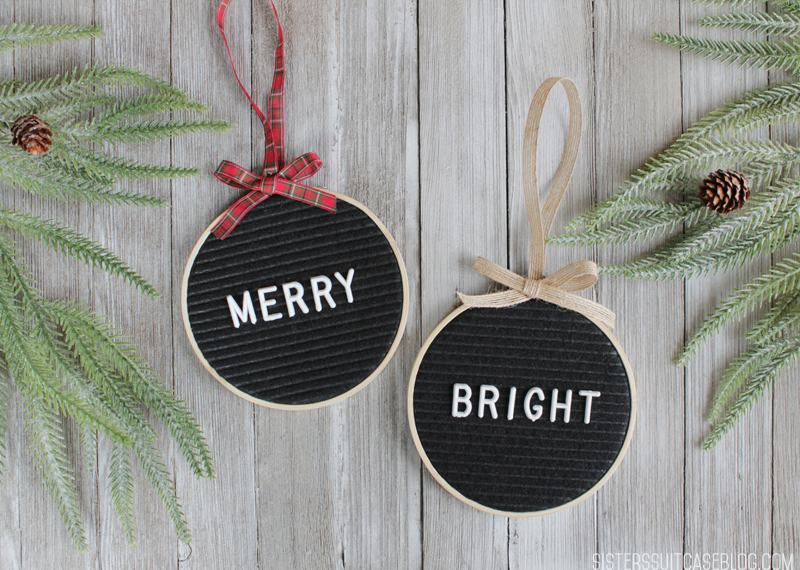 Make these custom letter board Christmas ornaments with the letters you already have at home, and a few other supplies! I can’t wait to share this project with you guys!! 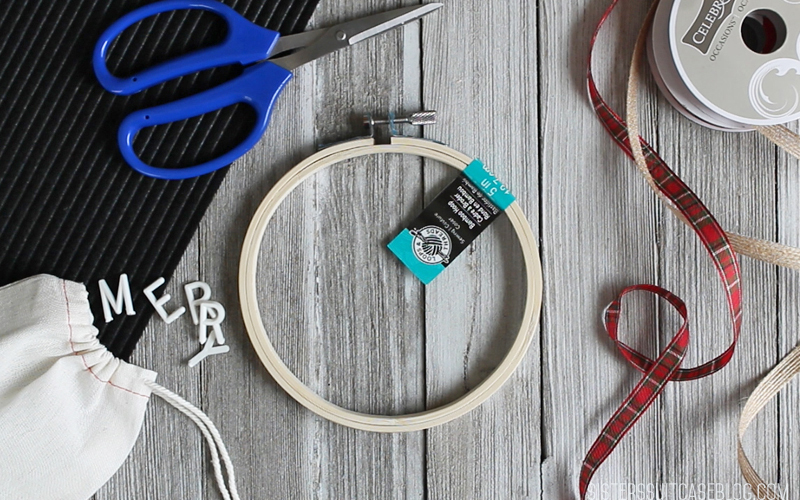 Remember the letter board embroidery hoops I shared a few weeks ago for my Thanksgiving table? 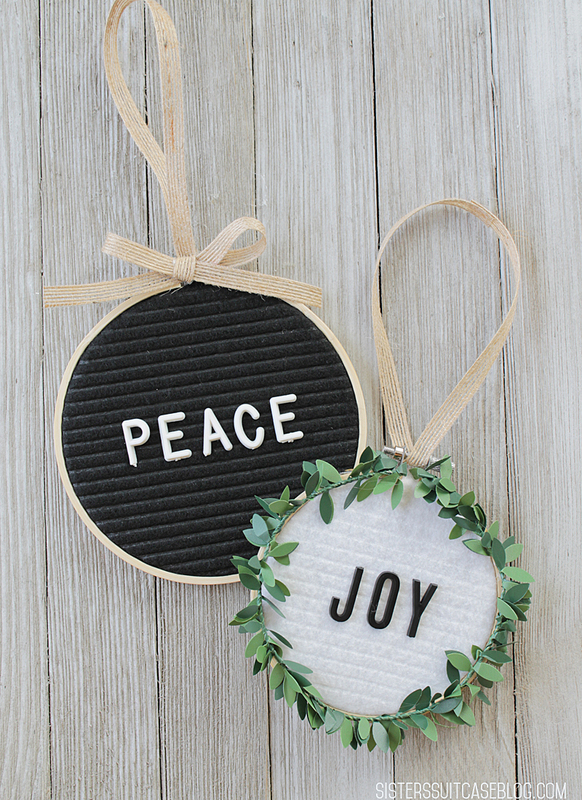 Well, I have to say that my letter board Christmas ornaments turned out even better, and when you see how easy they are to make, you will be hitting up your local craft store for all of the 5″ embroidery hoops you can get your hands on. For reals you guys. 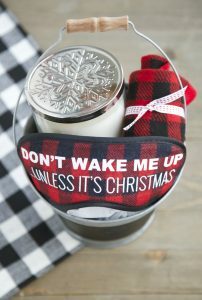 This is the simplest Christmas decoration you will make this year. Promise! Cordoroy felt (You can find it at JoAnn’s… I got mine at Michaels but I hear they don’t stock it in all of their stores. Call ahead and ask!) 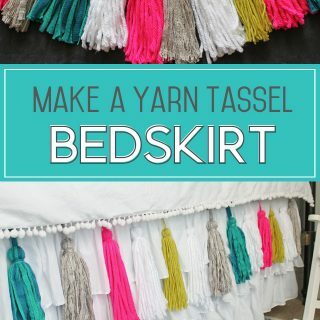 – it comes in a variety of colors at JoAnn’s. 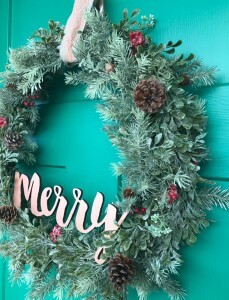 Letter board letters – if you don’t have a letter board, you can purchase just the letters at Oak + Made for only $10 a set! This felt is truly the star of the show! 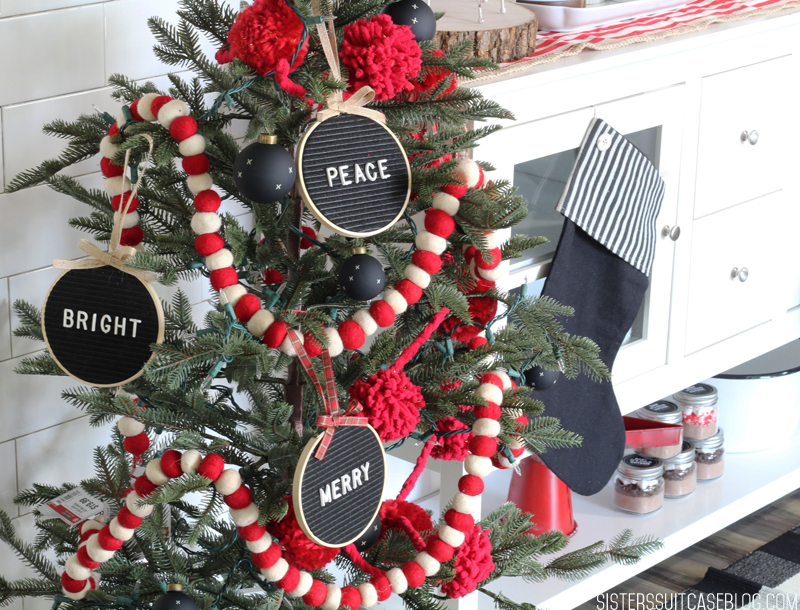 The texture of the felt makes it look like a letter board, so the rest is super easy! 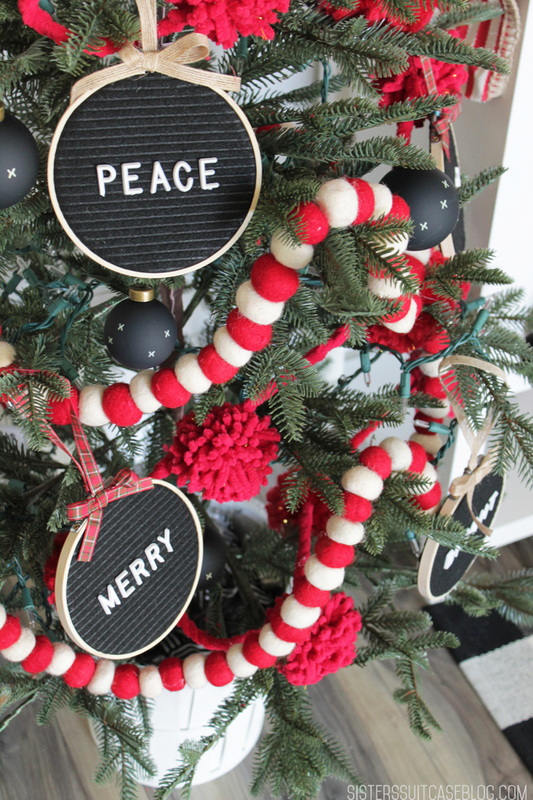 The video shows most of the tutorial process to make these cute ornament hoops, and it is really similar to the Thanksgiving version I made with burlap, but I will give you a few important tips! Make sure to place your letters first so you know where they need to go to be centered in the hoop. It is easier to secure one letter at a time with a small dot of hot glue around the part of the letter that sticks through the back. If you try to glue all of them at once, they will start slipping out and it will be much harder. 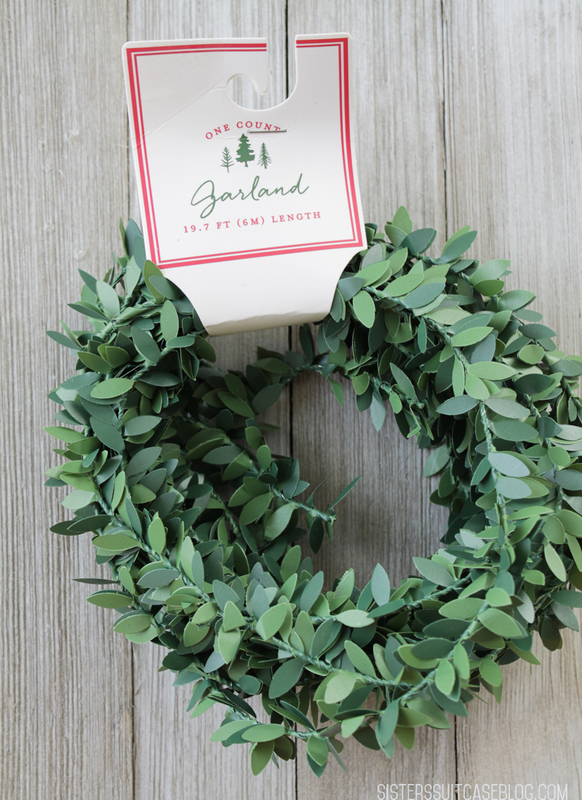 You can finish them off with ribbon, or this cute decorative garland we found in the Target dollar spot. They turned out so cute on the tree we decorated for our Hot Cocoa Party! Check out all the details of this Hot Cocoa bar, and free printables, here! 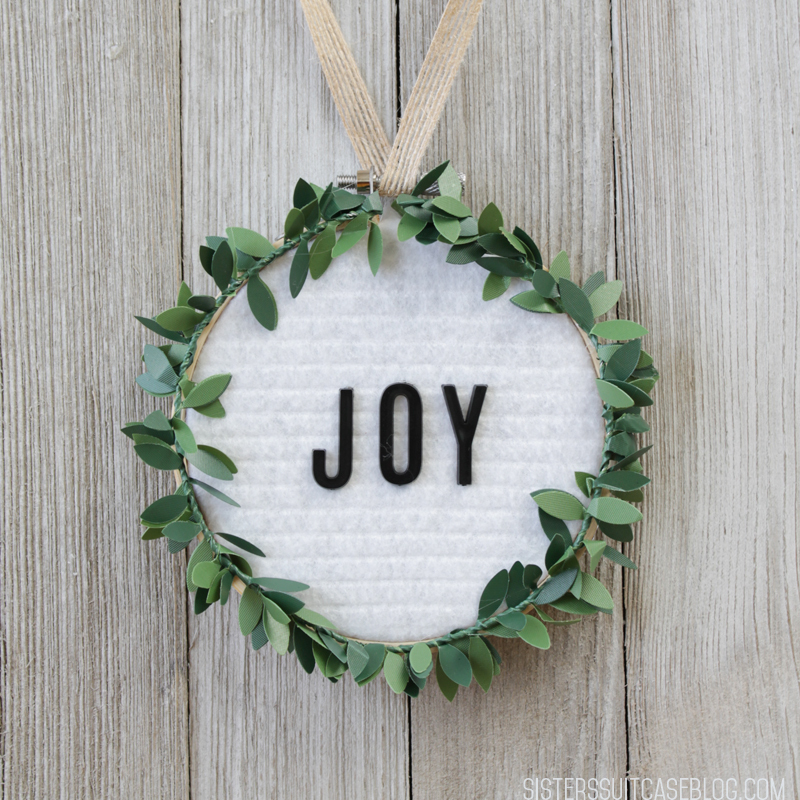 My mind has been spinning with all of the other versions I want to create of these letter board embroidery hoops. There are so many possibilities! 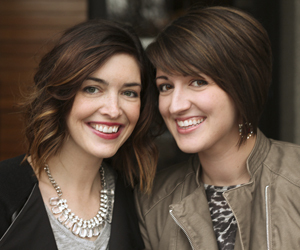 I’d love for you to pin this project and share it with your friends too! Where you get the navy stockings? Kim, Those stockings are actually black and white, though the lighting actually kind of makes them look navy. They are from Tai Pan Trading! So so Cute!!! Super cute! What size letters did you use for this project? I used 1″ letters for mine! 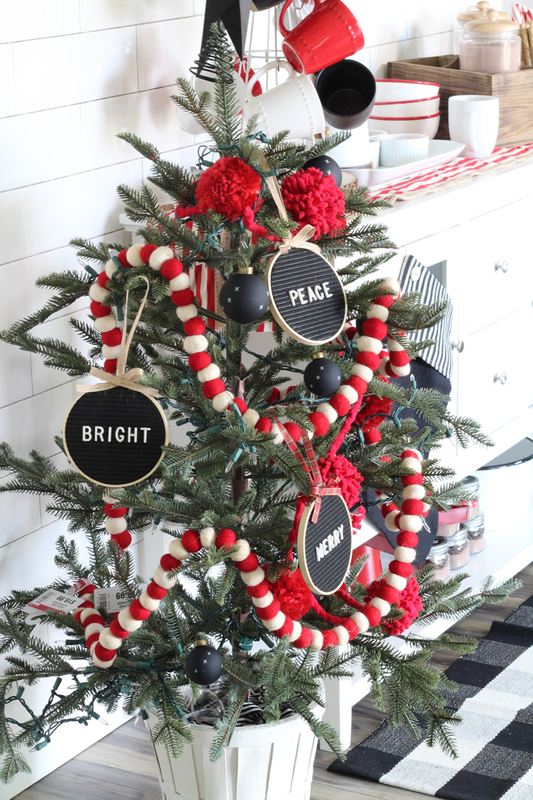 Did you make the red and white pom pom garland? Isn’t it cute? It’s from the Wondershop line at Target this year! 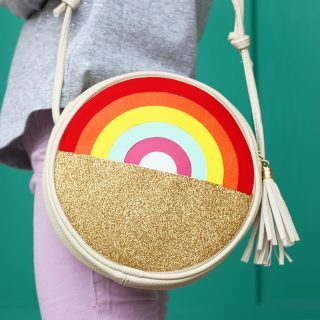 I ran right out to buy the felt to make these after I saw this on Studio5 today. I was seriously disappointed to find out that none of the local Micheals carry the felt and it is not in stock to buy on line. What Micheals did you find this at? I’m so sorry!!! After the show aired, we found out that my local Michaels in American Fork is one of the only (or possibly the only) store in Utah that carries this felt! I had had no way of knowing that and I definitely wouldn’t have sent that people there to buy it if I had known. I’m sorry! I do know that my local JoAnn’s (also in American Fork) carries the same felt, in lots more colors. I also found that out after the show aired. I got some dark gray and white there. They had a lot of other colors too! I would call your JoAnn’s first before you go. And I haven’t checked Hobby Lobby yet but I bet they might have it too. I hope you can find it! Let me know!